Are you among those who love to try new things? 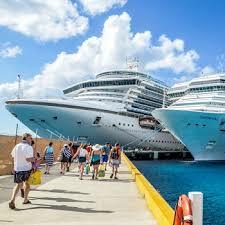 If yes, plan your next vacation by booking cruise tickets and have the most adventurous experience of your life. Swara Tours Packages Consultancy is a Solapur (Maharashtra, India) based tour & travel agency, involved in providing cruise services to the travel enthusiasts, across the globe. We are rendering cruise booking solutions in association with leading cruise liners, thus we can undertake advance and urgent booking needs. So, join hands with us and embark on a journey of a lifetime.